I love mascaras. It's my desert island product. However I don't think I'll ever find, or even want to find, THE one for me as I love trying out new ones. One that I've been testing for the last few weeks is All Day & All Night mascara by SAX*. 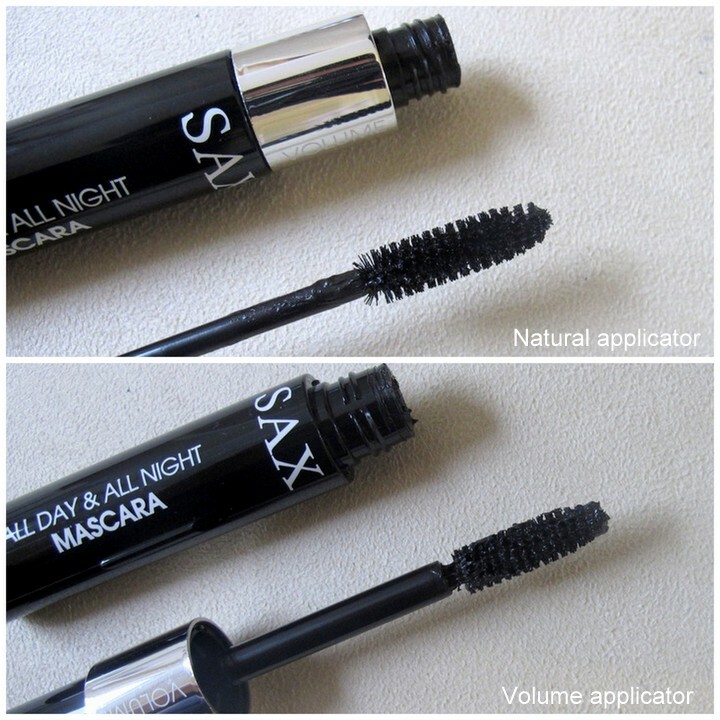 What's interesting about this mascara is that it has a double cap allowing for two different applicators; a natural applicator and a volume applicator. If you take the wand out of the volume cap you get a lot of mascara imparted on the wand, thus coating your lashes with more mascara and creating volume. 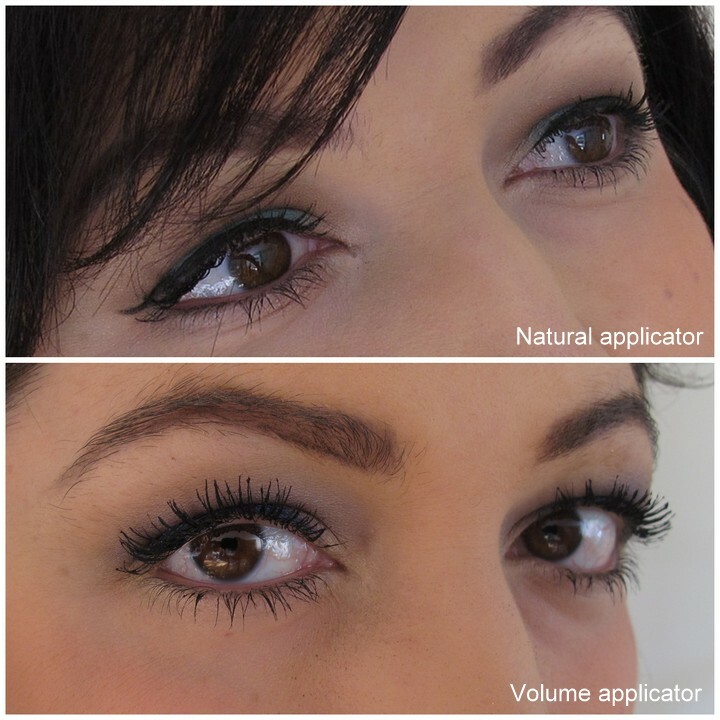 Whereas the natural cap is narrower so you only get a small amount of mascara on the wand, creating a more natural look. See the below image to see what I mean. As much as I love mega thick and long lashes, sometimes a natural lash look looks better especially at daytime. 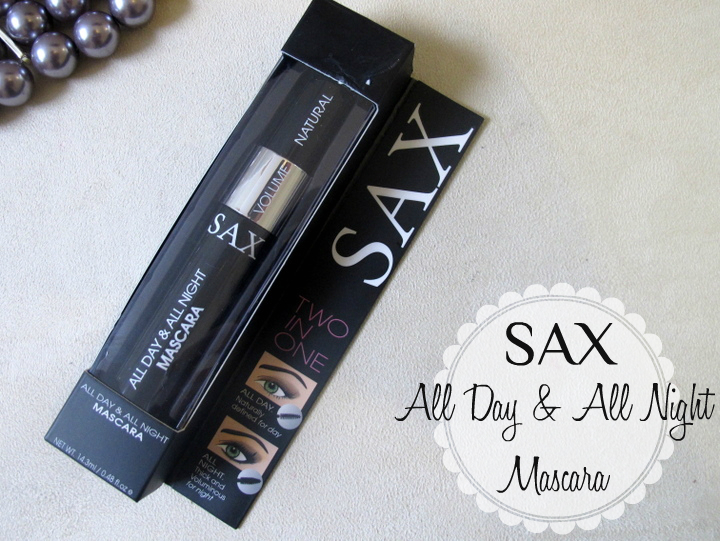 This mascara is quite versatile as it is like having two products in one so it's also perfect for travel. The colour that I have, Very Black, is actually a very dark glossy black. I'm just not a fan of anything but a deep black colour for my lashes, so this was perfect. An another bonus is that it doesn't make my lashes crunchy, yay! The only thing to watch out for is that when using the Volume applicator you may end up with clumps due to the sheer amount of mascara that ends up on the brush. So make sure you wipe some of the excess off on the cap before applying to your lashes. What is your favourite mascara? Are you loyal to any particular mascara or do you, like me, like to try new ones all the time? Lilit, oh your lashes always look so glamorous and lush! Sigh, mine need a little help which is why I'm always searching for a great mascara. I don't mind Maybelline 'The Falsies' but it just doesn't thicken enough. I loved Rimmel Colosal waterproof as it made my lashes curly all day, however had to stop using it as it was too difficult to take off on a daily basis. I am currently trying Dior Blackout which seems ok.